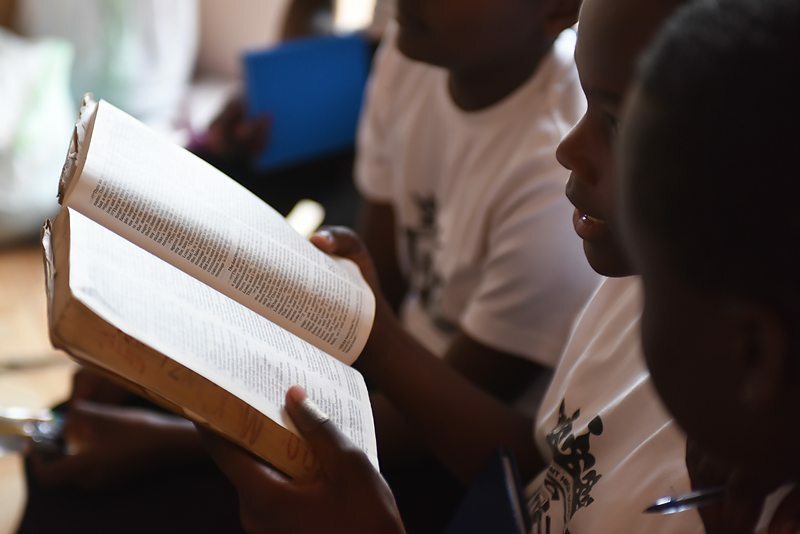 With a team of five from Bridge of Hope Africa Ministries (BOHAM), we were able to hold our very first Bible Club at El-Shaddai Nursery and Primary School. Being our first Club, we had a large gathering of children of all ages. More than 60 children gathered at the school to take part in the different activities! BOHAM staff started with getting to know the children. Children were asked their names and what they hoped to be when they finished school. After introductions, the children were able to get to know each other through engaging in fun activities like relays, jumping rope, and soccer. After one and half hours of playtime, staff gathered the children together and shared with them how to live with each other at home, school, and in the community. This was coupled with sharing Biblical texts of how Christ wants us to live with each other. At the end of the session, staff was able to provide the children with something to eat, a juice box and bread before they went back home. Our goal is to hold a weekly Bible Club each Saturday for our registered children. Help support Club and the community by donating today!